WHEN I WANT YOUR PEANUTS……..
I’ll beat them out of you! 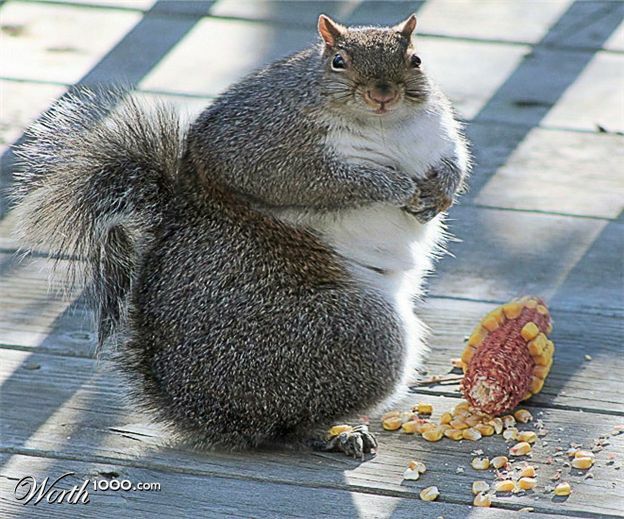 By this time of winter and after all the fillings of the feeders…..will this be “OUR” Ralphie come spring? Time to let the dogs out….that ought to exercise the varmit ! Enjoy. BRING ON THE DOGS ! Poor little baby, send him here and it can chase around some of the slender ones on the west coast.